The dramatic crisis that is unfolding in Venezuela has formed part of the international news cycle since mid-January, but it has been in the making for nearly a decade. And it finds its roots in the controversial popular authoritarian regime of Comandante Hugo Chávez, who ruled the country from the previous decade, until his death in 2013. In this latest chapter, a nationwide crisis has been sparked over who, indeed, is the legitimate president of the country. This constitutional crisis took shape when, in early January, the National Assembly, in which the opposition holds a majority, pointed to alleged election tampering and declared the 2018 re-election of leftist authoritarian Nicolás Maduro null and void. In Maduro’s stead, the Assembly named opposition candidate Juan Guaidó to serve as acting president until new elections could be called. 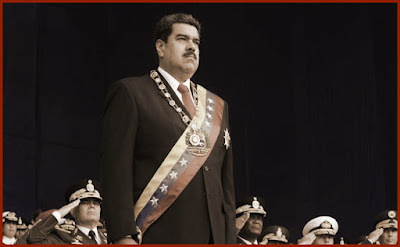 The pro-Maduro Supreme Tribunal of Justice (Venezuela’s supreme court) has declared the National Assembly’s de-authorization of Maduro and the appointment of Guaidó to be unconstitutional. This is where the battle-line has been drawn separating the two diametrically opposed sides in the crisis—a test of strength between the legislature and the judicial branch of government. The National Assembly, for its part, is responding to the Supreme Tribunal by quoting the very Constitution enacted under Maduro’s predecessor and mentor, Hugo Chávez, as backing its authority to question the legitimacy of the elections and to appoint an interim president. The specific constitutional passages that the opposition is invoking include Article 333 and Article 350.
International support for one side or the other in diplomatic circles has divided along what might be considered logical lines, with Russia and its allies supporting Maduro and the US and Europe pledging their backing for Guaidó. US President Donald Trump—who, in other instances, has often indicated his admiration for authoritarians—has demonstrated vehement opposition to the Maduro regime and has imposed economic sanctions against Maduro’s government. Although the European Union and the Trump-era United States see eye-to-eye on very little these days, in terms of the Venezuelan crisis they are both clearly siding with Guaidó and the National Assembly and against the continued presence of Maduro as head of state. Where the US and EU disagree is on Trump’s openness to possible military action in Venezuela should it be necessary to wrest power from Maduro’s hands by force. Most European leaders agree that this course of action would not only be inadvisable, but also potentially disastrous and counterproductive. Considering the checkered history of US intervention in Latin America, many observers feel any direct action by Washington in Venezuela would quickly sour the mood of other South American countries that are currently pleased that the US has joined them in bolstering democracy by welcoming Guaidó and censuring Maduro. US military action in any South American nation would very likely be considered an attack and a renewed act of imperialism by the United States on South America as a whole, and would thus be more likely to help rather than hurt Maduro’s standing. The current national socioeconomic crisis, with Maduro as its focal point, has been brewing since 2010, beginning, briefly, under Hugo Chávez but intensifying under Maduro. Venezuela’s economy has long been largely dependent on oil revenues, which at one time made it the wealthiest country in Latin America. 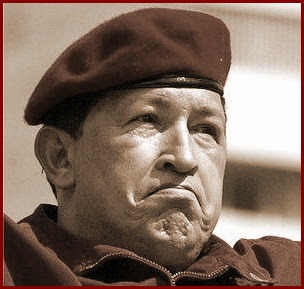 Comandante Chávez drew his vast support as a populist authoritarian from the re-distribution of oil profits, without seeking diversification of the country’s economy. But when the bottom fell out of the international oil market, it also fell out from under his presidency, which Maduro inherited on its way down following Chávez’s death. 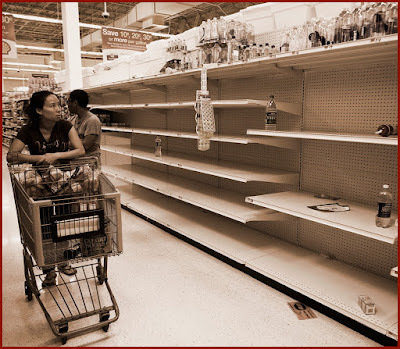 Maduro’s ineffectiveness in dealing with this crisis led to extreme hyperinflation (over a million percent) and severe shortages of everything, including basics such as food and medical supplies, with the standard of living for average Venezuelans plummeting—in many cases, to the point of starvation. 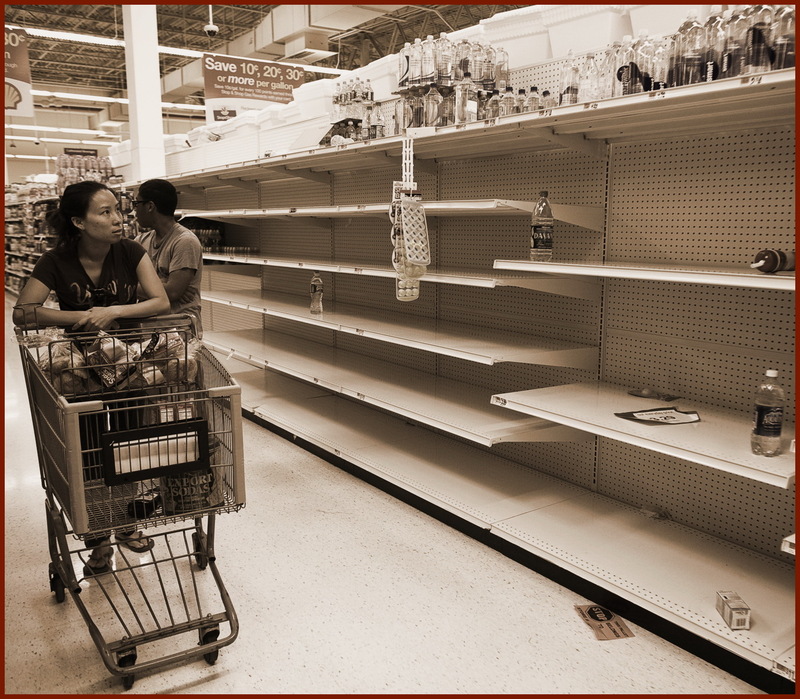 Through the “magic” of hyperinflation and prices pegged to international currency, there were cases of bottled water or a single trip to the grocery store costing as much as or more than many Venezuelans made in a month. This crisis also led to rampant murders, abductions and other crimes, turning Venezuela’s cities into some of the most dangerous in the world. This situation led not only to violent street protests in which casualties have numbered in the hundreds on both sides, but also to the election of an opposition majority in the National Assembly for the first time since 1999, when Chávez took over as the country’s flamboyant leader. But the lame duck pro-Maduro Assembly quickly stuffed the Supreme Tribunal with Maduro allies in order to have that institution act as a counterbalance to the opposition’s legislative majority. Not content with that, the Maduro government also managed to strip three opposition leaders of their seats in the Assembly, citing “irregularities” in their election. This kept the opposition from gaining a super-majority, by which it would have had the constitutional power to pose a direct challenge to Maduro’s authority. Maduro’s friends in the Supreme Tribunal invented and granted extensive new powers to him in 2017. Armed with this increased authority, Maduro mounted a so-called Constituent Assembly, with the aim of drafting a new Constitution to replace the one enacted by his predecessor in 1999. Members of this Constituent Assembly were not elected to it but were appointed from within the ranks of Maduro supporters. This drew worldwide attention since it indicated a bid by Maduro to remain in power indefinitely. In diplomatic circles it was deemed important by many to take a stand against increasing authoritarianism in Venezuela, and scores of countries made it clear that they would not recognize the Constituent Assembly. On the domestic front, however, in the face of a virtual opposition boycott of these government moves, the Constituent Assembly was handed an inordinate quota of power. It became the body that guaranteed non-interference with measures “in solidarity” with the presidency. For all practical purposes, this meant that, between the power of the Supreme Tribunal and the all-pervading power of the Constituent Assembly, the legitimately elected legislative branch of the Venezuelan political system was stripped of any power that it had managed to retain until then. Due to oil-price instability, an under-diversified economy and Maduro’s clear lack of ability to deal with the economic situation, the once wealthy Venezuela has been plunged into a prolonged crisis described by some economists as being far worse than the Great Depression. This has led to a vast humanitarian crisis in the country. Although less is being reported about it than the crises in Middle Eastern war zones, the Venezuelan socioeconomic situation is no less grave. For several years now, there has been a constant flow of socio-economic refugees hemorrhaging from Venezuela’s borders in search of a better life in other parts of Latin America and the world. The greatest numbers of displaced persons—over a million of them—have settled in neighboring Colombia. But there are also large Venezuelan diaspora communities in other major countries, such as Argentina. So far, about three million Venezuelans have left the country in search of peace and prosperity. That’s about one out of every ten Venezuelans who has opted to leave. Provisional President Juan Guaidó has called on all Venezuelans to protest against the Maduro government. And over the course of the past month, the response to this call has been enormous, with hundreds of thousands taking to the street again and again in mass anti-Maduro rallies. 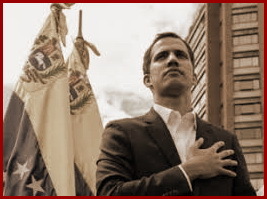 At mid-month last month, Venezuelan intelligence agents loyal to Maduro detained Guaidó after intercepting the car in which he was traveling. The BBC claimed it was an ambush created to intimidate opponents to the regime. But Organization of American States Secretary-General Luis Almagro was quick to call the arrest “a kidnapping”, and US Secretary of State Mike Pampeo decried it as an “arbitrary detention”. The government ended up releasing Guaidó within 45 minutes and reprimanding the arresting agents. OAS chief Almagro was among the first leaders of organizations and governments to lend official support to Guaidó. Brazil quickly followed suit. Spain and most of the rest of Europe swiftly concurred. And the plethora of support for the decisions and democratic legitimacy of the Venezuelan National Assembly continues to burgeon. With sanctions levied on his oil exports, a freeze placed by the Bank of England on Venezuelan gold reserves in its vaults and three quarters of all Venezuelan imports coming from countries that now recognize Guaidó as the country’s president, Maduro is being backed ever tighter into a corner. It can only be hoped that his patriotism will overcome his authoritarian ego and that he will withdraw quietly and with no further bloodshed in a country that has suffered far too long under his pernicious regime.